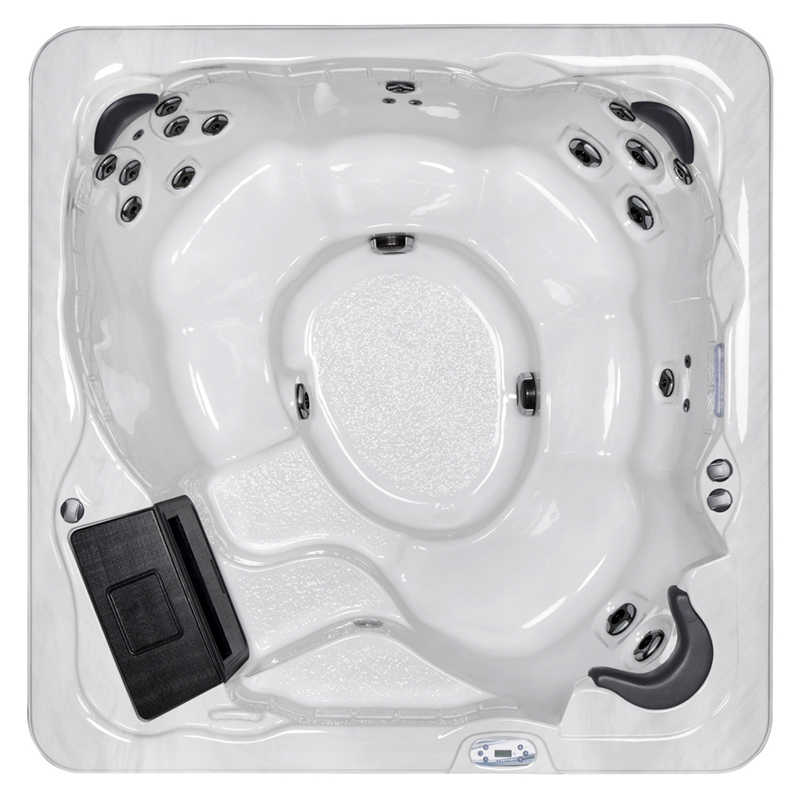 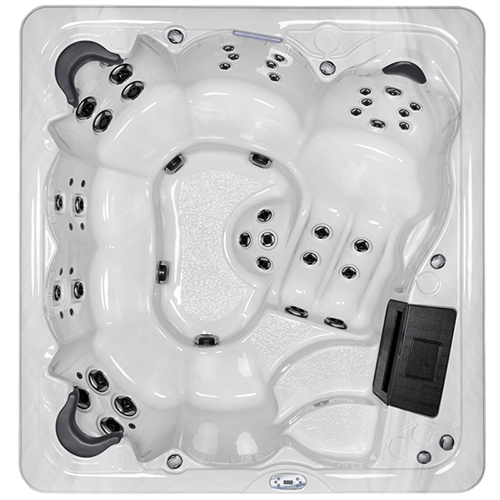 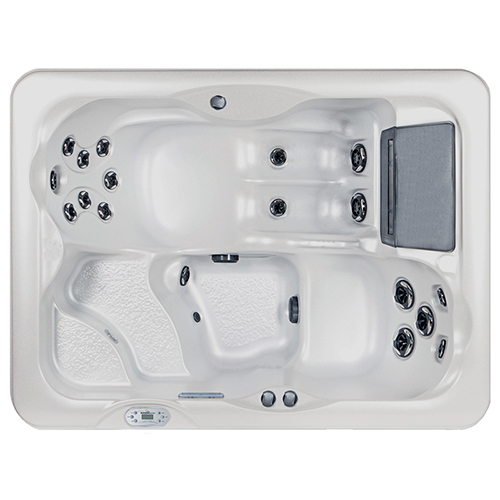 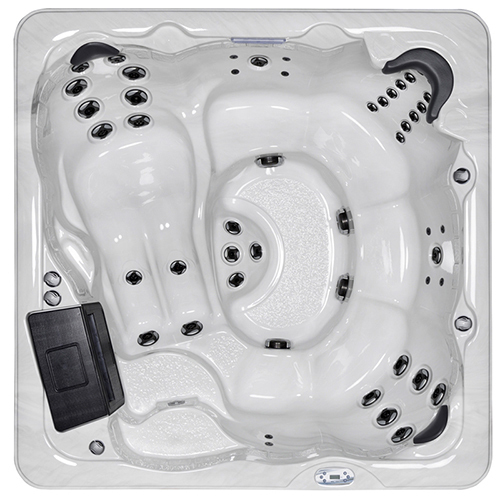 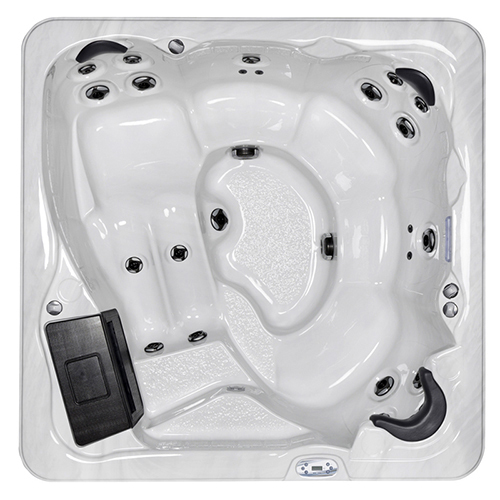 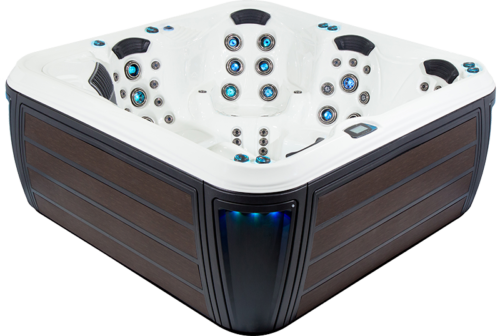 The Sunrise EZ780 hot tub is a 120V/240V convertible hot tub featuring one 1.5 HPR or 4.5 HPR dual speed jet pump and 26 two-tone hydrotherapy massage jets. 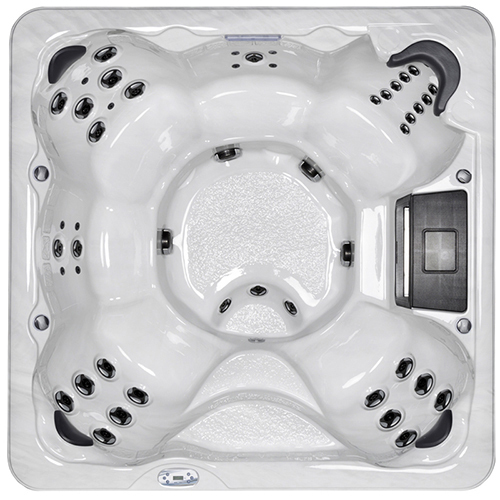 The bench and bucket seating arrangement comfortably holds up to 6 bathers. 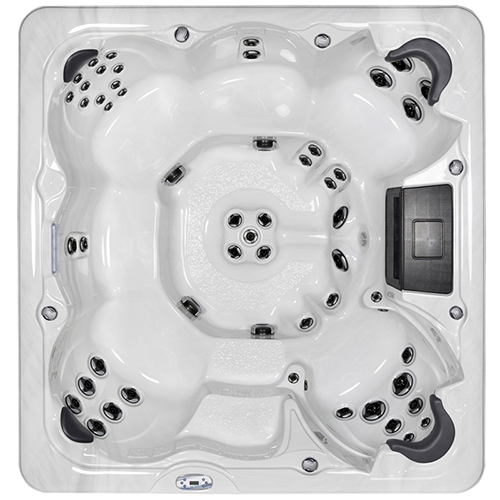 The EZ780 hot tub is a great choice for the casual entertainer with the multi-colour LED waterfall illumination and the exterior cabinet corner lighting with the optional LED perimeter lighting and MP3 audio system.